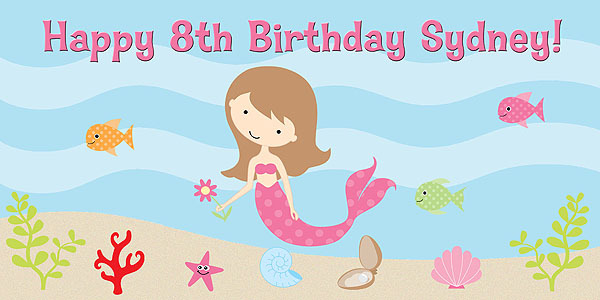 Custom mermaid birthday party banner, 4 feet by 2 feet indoor/outdoor vinyl banner. The banner is high quality with vibrant colors. Vinyl banners are very durable but lightweight at the same time. 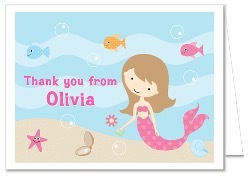 The personalized banner would make an excellent keepsake!